Do You Have To Pay To Be A Model? Do you have to pay to be a model? Theoretically no, BUT it really isn’t as clear cut as that. For example if you were walking down the street and you were to be approached by a modelling scout who was willing to pay for your test shoots, all your travel expenses, meals etc etc etc then effectively you don’t have to pay to be a model. But that just isn’t the way the modelling industry works for most people. Here’s how it usually works for most people trying to become a model. Your portfolio is your investment into your future as a model and you shouldn’t treat it lightly. The internet is full of forums and chat rooms taking of model agency scams and in this some instances this is probably justified but regardless of those particular circumstances nobody is likely to ever get a free ride on their journey. Even for those lucky few people to be picked up by top fashion agencies who have their portfolio paid for up front the models are still usually considered an independant contractor and the fee invested into your shoot an investment that is usually claimed back from your first paid shoot. It is also worth remembered that if an agency does pay for your shoot then they will often retain the copyright to those photographs which means you would not then be able to use those images to try and obtain other work. If you are serious about becoming a model then you should treat your decision with the same importance as running a business, complete with a plan of action. This means that like any other business you will incur costs. These are the other expenses that you will likely occur on your journey and they include simple things travel to see agents (including your meals), your hair and makeup, your clothes, your modelling classes (you want to be taught how to act like a professional model right? ), your cards / business cards etc. Of course, these can all be optional expenses because you may be able to catch a lift to a shoot, use your regular make up and clothes etc but the point is that each situation is different for everybody – you may have to take time away from your education or job to pursue your modelling career. All of these have the potential to carry a personal cost. Remember that not everybody makes it as a model and you really should be prepared for it not to work out. That’s not to say you shouldn’t go for it with everything you’ve got but it does make sense to be prepared for a long run if required. 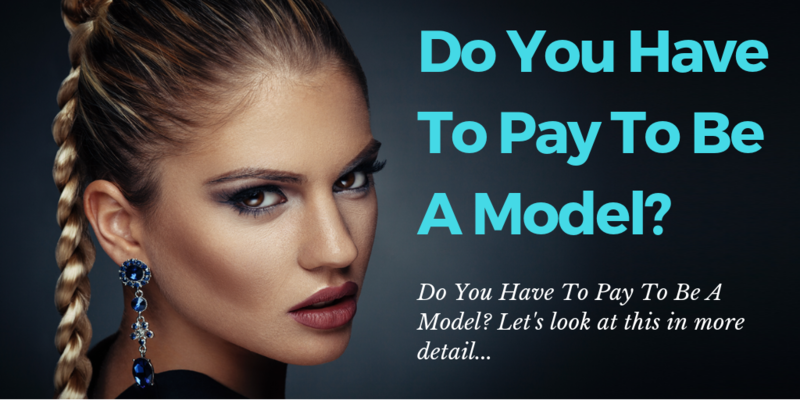 Do you have to pay to be a model? No, but you should be willing to invest in yourself to get there. Every situation for different people is unique and you will find that this applies to your expenses too. If you sign with an agency who pay for your portfolio then it is unlikely that you will be able to re-use those photographs to pursue other work without their prior written permission. Pursuing a modelling career can be a long journey for some people so the amount of funding you put into your this pursuit can vary, you should hope for the best and plan for the worst. Plan your time away from work or education to model without incurring any loss of income or education.